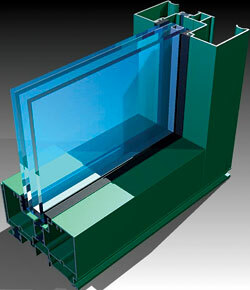 The series 526 Storefront frame has a modern design and polyurethane thermal barrier. The system accommodates 15/16-inch insulating glass for increased U-values and meets large- and small-missile impact standards. Integral door adaptors make the product compatible with the company's entrance doors. Available in outside- and inside-glazed configurations.